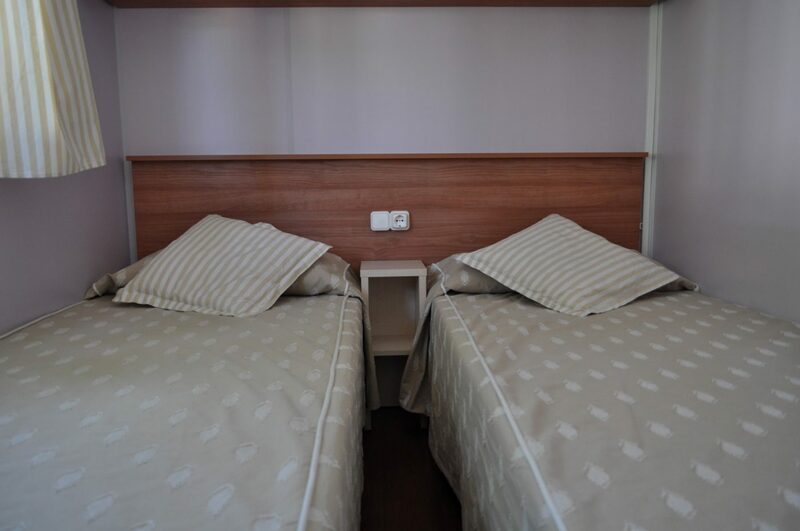 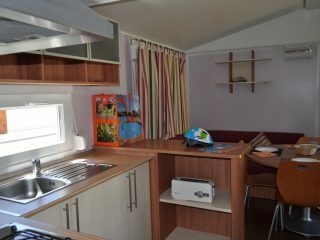 This Mobil-home for 6 persons has a room with a double bed (135cm), another room with two individual beds (80cm) and finally, a convertible sofa-bed double (135cm). 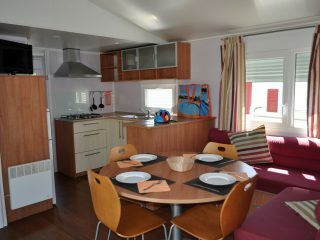 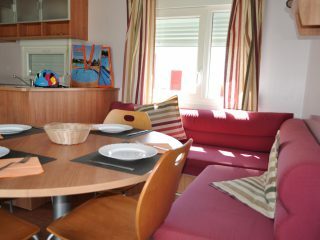 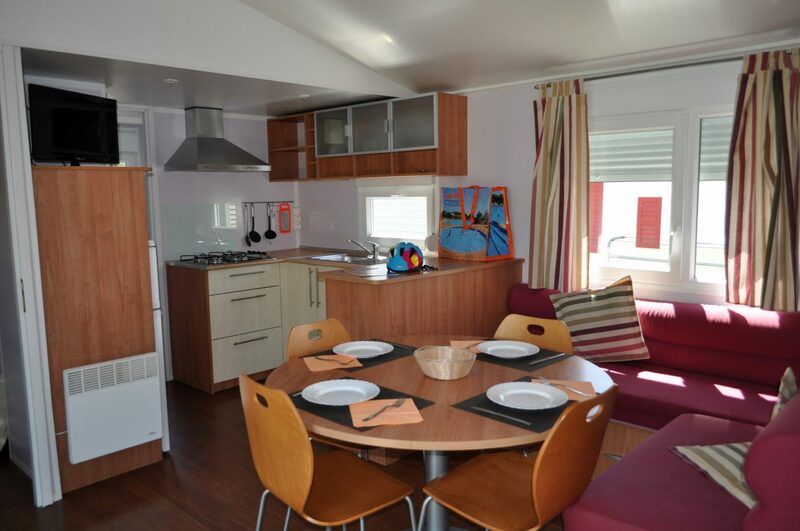 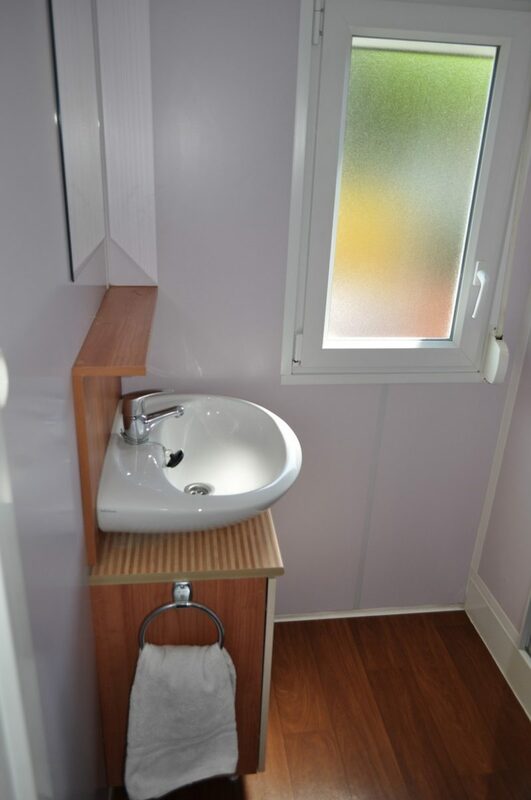 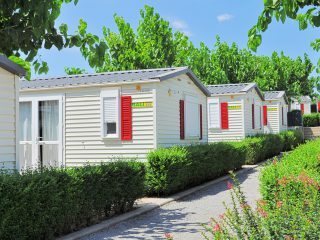 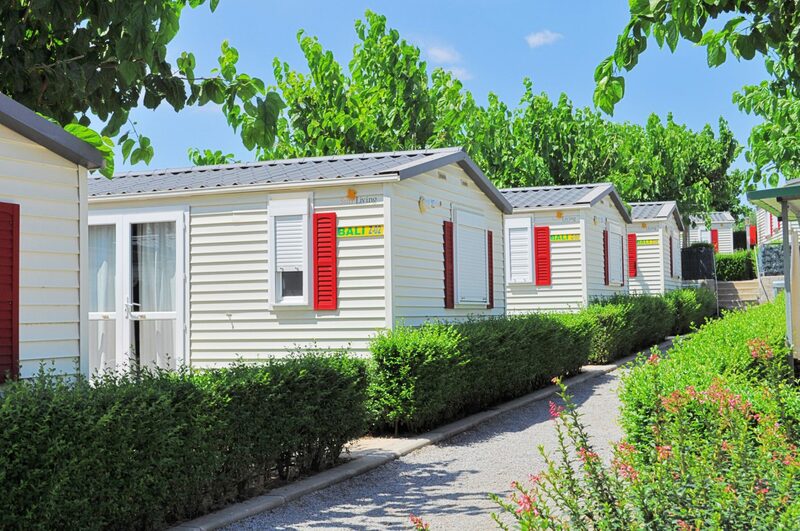 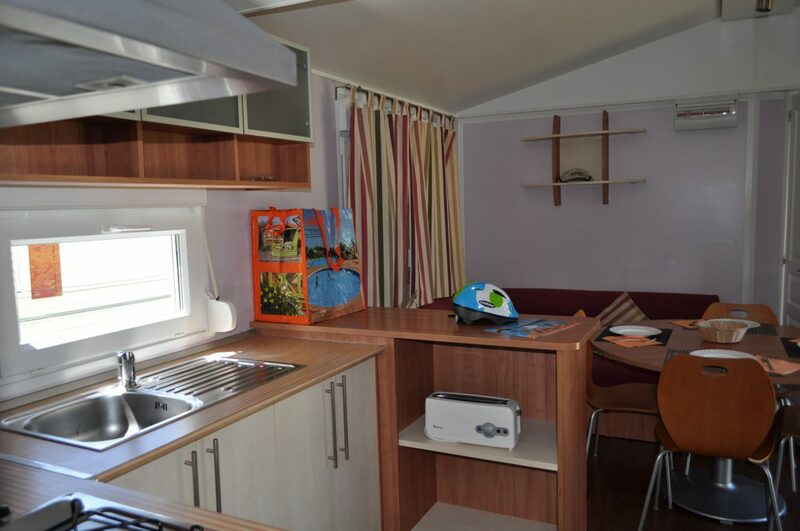 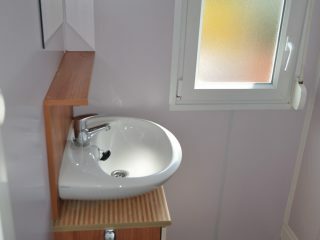 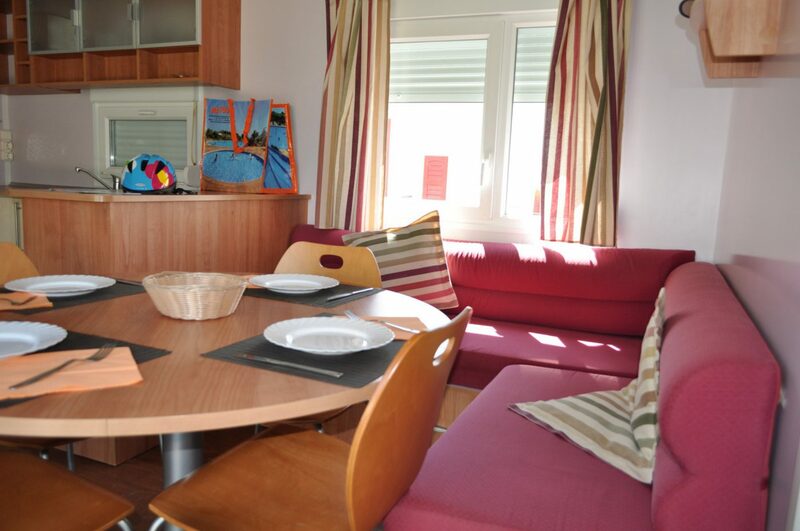 This Mobil-home has a complete kitchen with microwave, bathroom and living room with sofa and Airco. 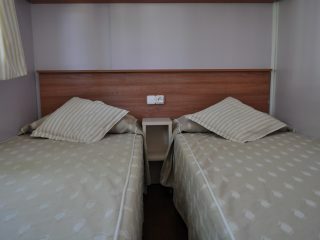 It does not have bed linens or towels but it has blankets.